Airabela is our home for trendy fashion accessories. 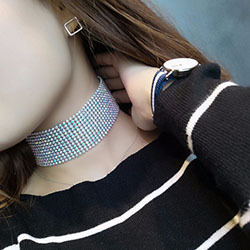 If you are looking for a great choker necklace or maybe a galaxy necklace then Airabela is the place to find it. Have you ever wondered who was next in line for the British throne? Sure we all know the top few, but what about the others? Is there a royal far down the line that might be single? This site will give you the full list of 100 of the royals who are next in line for the throne. Stacei’s romance book review blog shares with you information about all the romance books she has read.